Some 65 sportspeople will be representing Denmark when the first European Games get underway tomorrow in Baku, the capital of Azerbaijan. Danish athletes will compete in 19 of the 20 sports included in the games, and according to the national athletics federation, DIF, they are expected to bring home at least five medals. “The Danish team consists of both world and European championship medallists and a number of talented sportspeople, several of whom have the potential to go all the way on a good day,” said the team’s leader in Baku, Morten Rodwitt. Among the medal hopes on the Danish team are sprint canoer Rene Holten Poulsen, BMX rider Simone Tetsche Christensen, triathlete Casper Stenderup and beach volleyballers Peter Kildegaard Andersen and Christopher Abell. READ MORE: Team Danmark had a good Olympics, but how did their predictions fare? For many, the European Games serves as important preparation for the 2016 Olympic Games, and some may even win direct qualification. 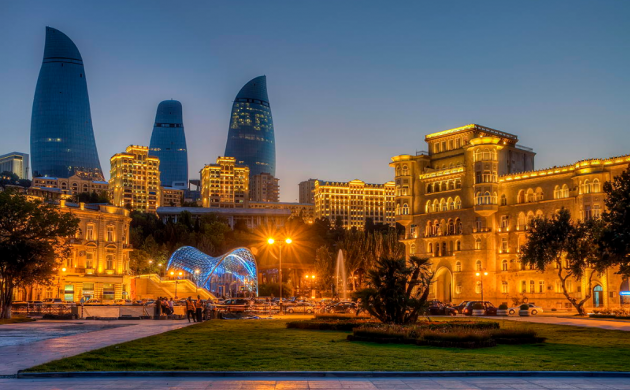 The 2015 Baku European Games are taking place from June 13-28, with an opening ceremony held tomorrow evening. Some 6,000 sportspeople from 50 European countries will compete in 20 sports. In Denmark, the coverage is being shown on TV2 Sport. If you would like to watch the games, you may want to consider downloading an official app that will provide you with live coverage of all the sport disciplines, as well as offer access to a wide range of behind-the-scenes information on the venues and sportspeople.